It looks like an award-winning ramen shop in Cambridge may be getting a sibling, and it would apparently replace a nearby Japanese eatery. 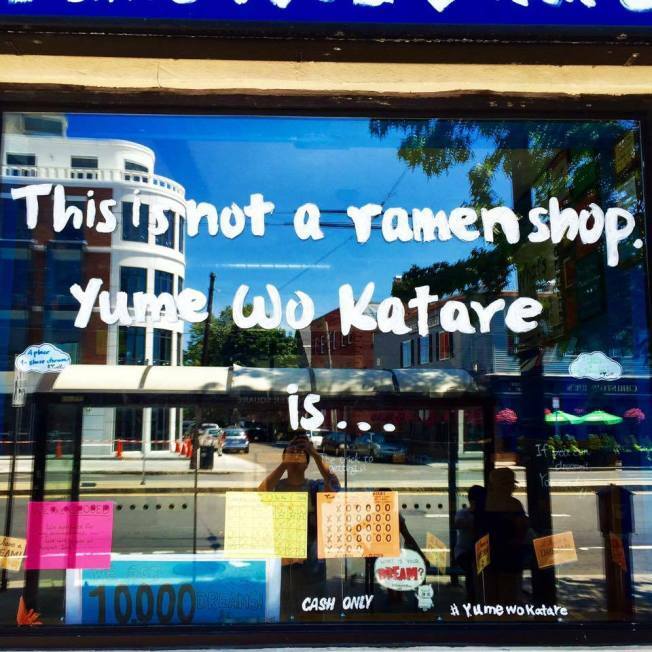 According to a license commission agenda page within the city's website, Ittyo Restaurant in the Porter Exchange Building in Porter Square is requesting a name change to Yume Wo Katare Udon, with the hearing taking place on Wednesday, August 9. Based on the name, this dining spot would be affiliated with Yume Wo Katare, a restaurant on the other side of Porter Square that first opened in the fall of 2012 and is known mostly for its pork-based ramen. Yume Wo Katare has received rave reviews from both local and national media outlets since opening, including the Improper Bostonian awarding it best ramen for 2015, Zagat mentioning it among its picks for best Japanese places in Boston, and Thrillist including its ramen in its Boston food bucket list. The address for Ittyo (and the proposed Yume Wo Katare Udon) is 1815 Mass. Ave., Cambridge, MA, 02140.